This is a great recipe. It’s actually really easy to use, all I need was my silicone brownie maker, which I had literally sitting in the closet. 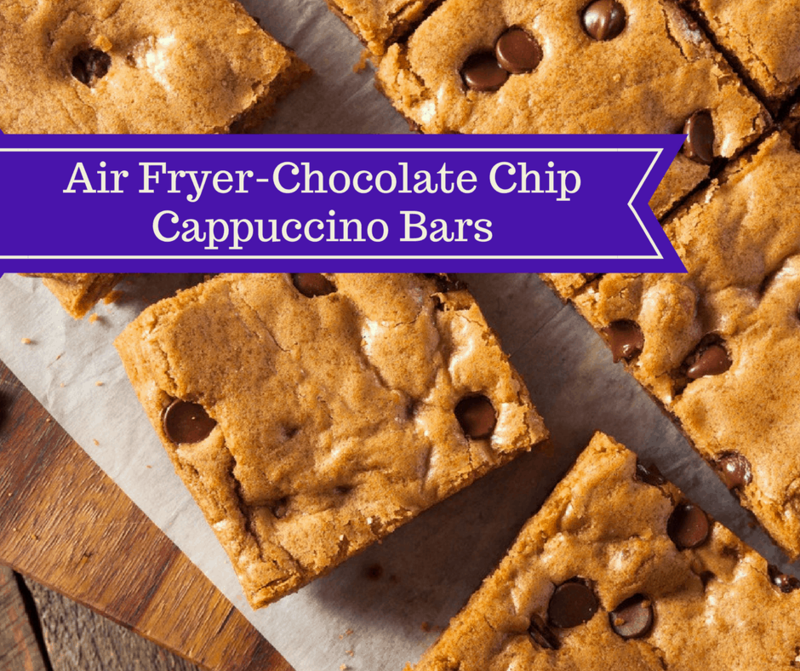 I have finally made the perfect batch of air fryer brownies! So, I’m always looking for a rich chocolate flavor that’s on the chewy side, which is good, because that means the kids eat more, and the adults eat less. 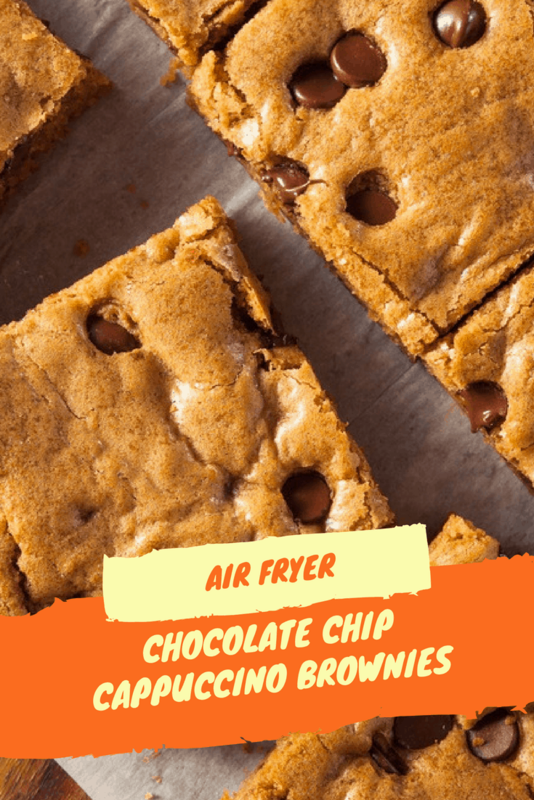 The other thing about making brownies in the air fryer is that they have corners, usually in my house, they all fight over who gets the corner bite, Not anymore, now each pieces is a perfect bite. And the fact that they in pre-cut sizes, all you need to do is to pop them out and enjoy them. One of the secrets that I have learned recently, is that beating the sugar and butter together first, makes the brownies nice and fluffy. If you cream both together you will get lighter and fluffier brownies. 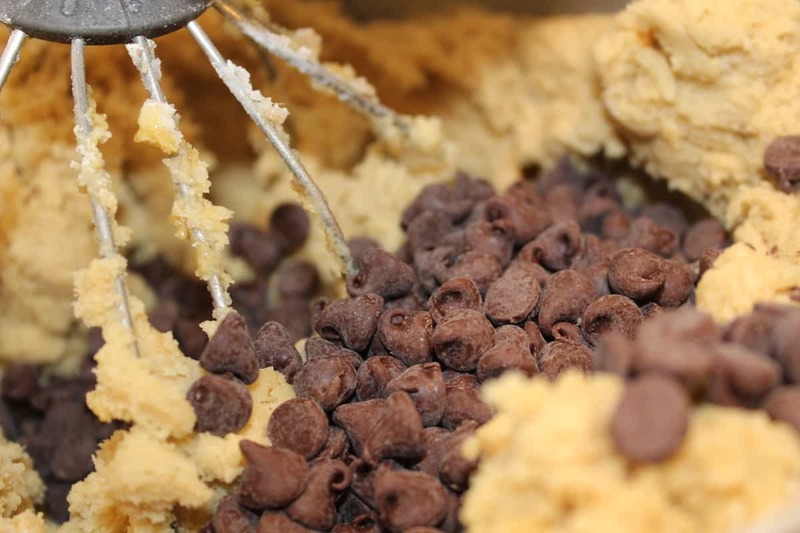 After all of the ingredients are mixed in, fold in the chocolate chip and macademia nuts. Look at these PERFECT brownie molds. 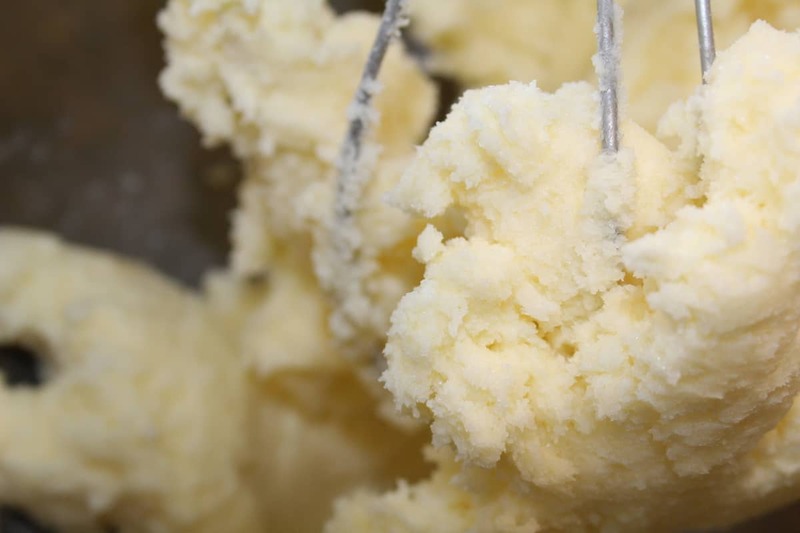 Start by creaming the sugars and the butter. Combine well. 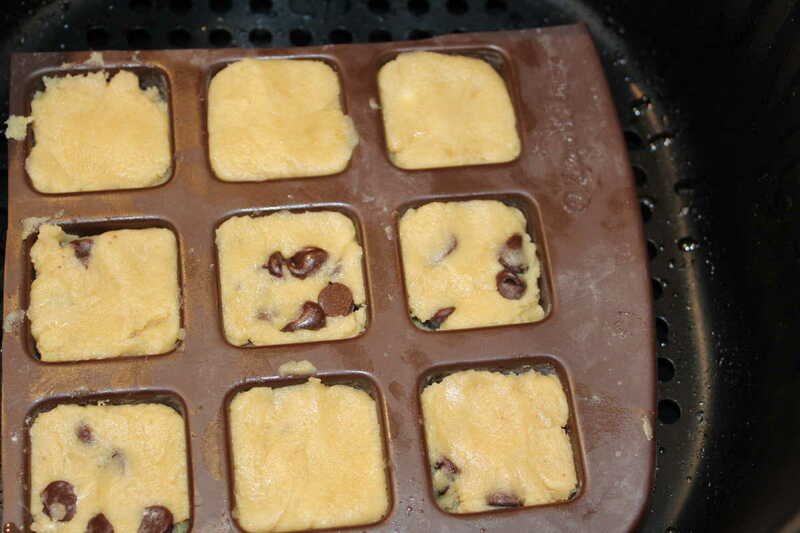 Then mix in the espresso powder, eggs, vanilla, flour, baking soda, salt mix well. Once everything is well mixed. 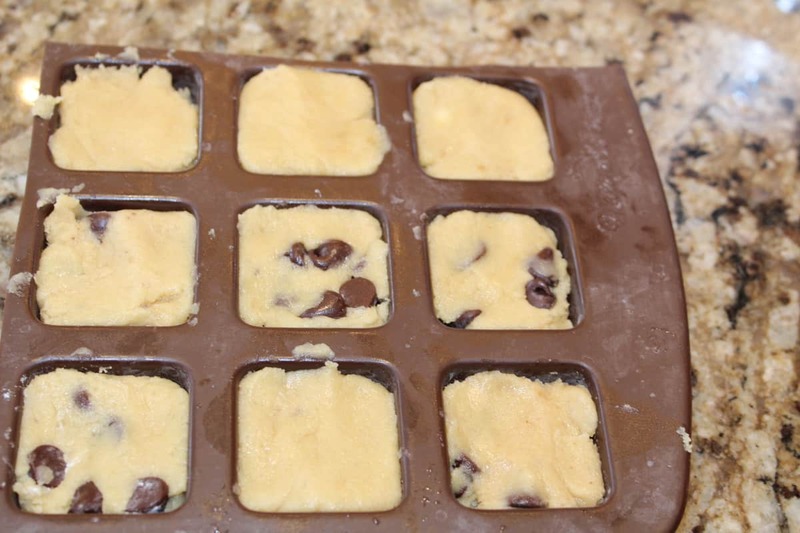 Press the dough into the pan, or silicone mold. Set your air fryer at 220 degrees F, for 15 minutes. Then check them, then add another 15 minutes. At this point, my brownies were done, but the actual cooking time will depend on the wattage of your air fryer and the thickness of the brownie mold you use.